Pokémon - A General Guide for all Newcomers! Thread: Pokémon - A General Guide for all Newcomers! Well hello there! Are you a new comer to Pokemon? Did you start off just recently? Then this might prove to be a very useful guide to you! This Guide has some pointers and tips for you as you start your very first adventure in the world of Pokemon. Most of these tips are explained in the older generations, but newer ones usually skip one or two. First and foremost, there are two types of Pokemon Games. There are the Main Games; with Regions, Badges, Poketu Monstah Captures, etc) and there are the Spin-Off Games with a more complex name to it; Mystery Dungeon, Pokemon Ranger, etc. This Guide is for the Main Game ONLY! Things to consider when choosing a Game! - What is a Pokemon? - What is a Region? Last edited by Trainer17; 04-08-2016 at 07:26 AM. Last edited by Trainer17; 04-08-2016 at 07:47 AM. There are a few things you should definitely consider when you're choosing a Game. For example, the first generation Games - Red, Blue and Yellow - are by far the OLDEST in the entire franchise, thus they can only be played on the Gameboy, Super Gameboy, GameboyColor or Nintendo64[via the TransferPak]. 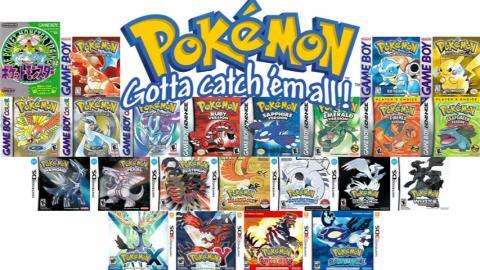 Some of the Pokémon Types and Pokémon are missing and some Pokémon original type classifications remain compared to the newer generation games, so do not be thrown off by this fact! Not to mention the Red and Blue sprites which are quite sloppy, unlike Yellow which wasn't all that bad, considering it only came out 2 years after the former two games. But if you're thinking to start it off, I'd advise beginning with Pokémon Yellow! You won't regret your decisions. I will display some sprites for your viewing displeasure! Need a good comparison? Take a look at Golbat. I think the term 'joints' got forgotten in this case. What a fat tub of lard. Tldr; If you want to start off somewhere, do it right here. As they are the start of the entire franchise, I suggest you at least try to play them at some point. 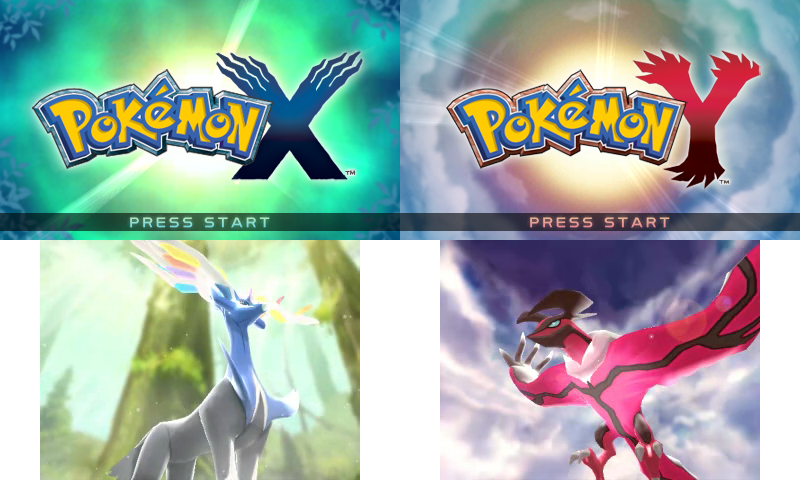 On the other side, Pokemon X and Pokemon Y for example are the 2013 6th Gen games. It features the newest form of art - 3D - updated types (Fairy), and is set in an entirely different region with newer and many more Pokémon! It can be played on a Nintendo 3DS, Nintendo 3DS XL, Nintendo 2DS, New Nintendo 3DS and New Nintendo 3DS XL. Each Region has an anime arc based off of it, and a game like this will have pretty much every Pokémon and most of the locations seen in the anime. 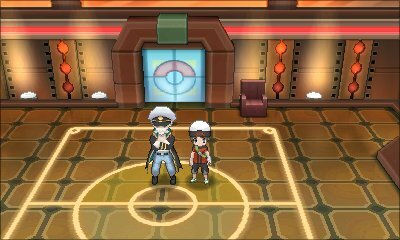 The playable character will match a character in the anime, and all the Gym Leaders will look the same. It has far more content and items to collect, and has a good storyline as well! There are plenty of things to do, like contests and Gym Battles. In short, think carefully before choosing your first game. If you have the chance, try to play one from each Region or at least from multiple regions. Last edited by Suicune's Fire; 04-08-2016 at 08:06 AM. - Regions are like the continents of the Pokémon World. Basically, we have continents like Europe, North America, South America, Australia, Asia, and Antarctica and the Pokémon World has Kanto, Johto, Hoenn, Sinnoh, Unova, and Kalos. Unlike our world, the Pokémon World has many continents and will have many to come. Different Regions have different Pokémon and customs or buildings/activities, like how different continents have different animals and different cultures. - Pokémon are like supercharged animals, but are distinctly different from animals. The word Pokémon is a shortened form of the phrase Pocket Monsters. 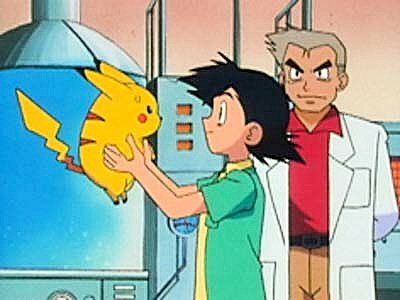 Unlike animals, Pokémon appear to be as smart as humans and think like humans too. They have their own language, personalities, and feelings. Pokémon can be companions, can be competitive battlers, or can be contest competitors. - Every Pokémon game has a save function. However, at the start of every new game the only option available is New Game. After a save file has been created, then you should select Continue instead. When you first start a completely new game, you will be asked a set of questions that usually include “What is your name?”, “Are you a boy, or a girl?”, and “What is your Rival’s name?” Depending on the game, one of these questions may not appear because female playable characters were first introduced in Crystal, or may appear late because an event may have to occur before you meet your rival. After answering the questions, your character will appear in your room in your house. Your Mom will usually tell you that the Pokémon Professor is looking for you. He will not be in the lab, so you should just head for the first patch of grass you see and he’ll usually find you and give you your first Pokémon, your Starter. - In the game, you will be given a Starter Pokémon by the Professor of the Region. The Professors of each Region in order are Oak, Elm, Birch, Rowan, and Juniper. When the game starts, the Professor is usually the one asking you all the questions when you first start your adventure, like “What is your name?” and “Are you a boy, or a girl?” After receiving this Pokémon, you will need to purchase some Poke balls. Poke balls are what Pokémon are stored in when they are not in use, and they are what you catch a Pokémon with. Poke balls can be bought at a Mart, the stores of the Pokémon World. Pokémon appear in many places, but most often in grass. After getting some Poke balls, walk into a patch of grass and a wild Pokémon will appear. Do you see that bar next to each Pokémon? The one next to your Pokémon is the health bar for your Pokémon. Likewise, the bar next to the wild Pokémon is the health bar for it. Pokémon health is measured by Health Points, or HP. To catch a wild Pokémon you will need to lower its HP into the red zone [currently it should be in the green zone]. To do this you will have to attack it. Pokémon attacks are measured by Power Points, or PP. When you run out of PP you will no longer be able to use a move. PP is different from the strength of the move. Remember that the wild Pokémon can attack too. When the wild Pokémon’s HP reaches the red zone, select Items and then Poke ball to throw a Poke ball. Each Poke ball has a different rate of catch. A regular Poke ball has the lowest rate of catch; it will catch most low level Pokémon. A Great ball has a higher catch rate, and an Ultra ball has an even higher rate than a Great ball. The Great ball and Ultra ball will become available later in the game. After a Poke ball shakes three times and then glows or emits stars, then you have caught the Pokémon. If the ball does not glow, then the Pokémon will break free and you will have to throw another Poke ball. - You can do multiple things with your Pokémon. You can collect them and put them in the PC, the Pokémon Storage System, or you can enter them in Contests or Musicals [depending on the Region you are in]. The most common thing you can do is battle. Battling is a lot like catching a Pokémon, except instead of weakening it and throwing a Pokeball you cause it to faint, thus winning the battle. - A Pokedex is basically a Pokémon Encyclopedia. It tells you where to find a Pokémon, what it looks like, what it sounds like, and if it comes in different forms. It also tells you how heavy a Pokémon is, along with how tall it is and what it’s Type is. There is also a description of the Pokémon. The Professor will give you a Pokedex when you start the game. You can access the Pokedex by selecting it on the Start Menu, which can be accessed by pressing the Start button. - Types are a way of classifying Pokémon. Each Pokémon has at least one and at most two Types. Each Type has an advantage and disadvantage against other Types in battle. For example, Fire Type Pokémon are strong against Grass, Ice, and Bug Types, but are weak against Water, Rock, and Ground Types. The current Types are Fire, Water, Grass, Electric, Rock, Ice, Bug, Ground, Psychic, Ghost, Steel, Dark, Fighting, Flying, Normal, Dragon and Fairy. - Gyms are places where Trainers, well, train. Each Gym has a Leader. The Pokémon League is a challenge created to test Trainers. If a Trainer can get all the Badges, beat all the Elite Four, and the Champion then they become the new Champion and have beat the ultimate challenge. To gain badges, a Trainer must defeat the Gym Leaders. There are eight for each Region, so there are eight Badges for each Region. After getting all the badges, Trainers have to travel to the Pokémon League. Before getting there, Trainers must pass the Badge Gates to verify that they have all eight badges. The Elite Four are four powerful Trainers who prepare you for the Champion. After defeating them the Trainer must challenge the Champion. When challenging the Elite Four and Champion, you can’t go back and if you are defeated then you must start over from the beginning. If you win, then you will be entered into the Hall of Fame and a new place in the region will usually be unlocked. - TM stands for Technical Machine and HM stands for Hidden Machine. TMs can be bought at any Mart, and are used to teach Pokémon new Moves for battling or Contests. Each Move has a Type, so pay attention to them. To activate a TM, go to the TMs Pocket in your Bag in the Start Menu [accessed by pressing the Start button]. Select the TM you want and select Use. This will activate the TM. Once activated you will have to select the Pokémon you want to teach the Move inside it to. When you activate a TM, it will indicate which Pokémon in your Party can and cannot learn the Move. After it is used, a TM will disappear in games below the 5th gen because they can only be used once. From Generation V onwards, all TMs are reusable (except in some spin-off games, such as Pokémon Super Mystery Dungeon). An HM can only be found in a hidden location, or as a gift from a character in the game for various reasons. HMs can be used to complete certain actions in the game, like Surfing across a body of water. There are usually only seven to eight HMs total. HMs can be used an unlimited number of times and will never disappear. They also can’t be sold or bought, so keep them handy. They can be stored in the My PC Item Storage System. - Contests and Musicals are an alternative to taking the Pokémon League Challenge. Contests were first introduced in Hoenn and carried on to Sinnoh. In a Contest, your Pokémon is pitted against four others to try and win a ribbon. Unlike in battles, Moves are not used to harm your opponent’s Pokémon, but to reduce their overall score. Contests are like Beauty Pageants for Pokémon and have several stages. You must dress your Pokémon up, show it off in a skill contest, and then finish with showing off its Moves to impress the Judges and the Audience. Musicals were first introduced in Unova. They work much like Contests, but only have one stage and are centered on impressing the Audience. Musicals, of course, have music and the player must decide when to use Props that they dressed their Pokémon up with to improve their score. Unlike in Contests, Musical scores are not a specific number and are given vocally by the Director after the show is over. The amount of praise he gives you determines how well you did. If you do exceptional, you may receive a prize. This prize is a new, sometimes rare Prop. You can also receive Props from the people in the lobby if you speak to them. If they love your performances, then they will give you a Prop to show their gratitude. Last edited by Suicune's Fire; 04-08-2016 at 07:58 AM. I really want to know this.